The final day of DreamHack Austin was filled to the brim with explosive Melee plays, from Jason “Mew2King” Zimmerman’s incredible run through the loser’s side of the bracket to Daniel “ChuDat” Rodriguez taking down some of the game’s finest on his road to the top. Comparatively, the grand finals of Melee were a little disappointing. Juan “Hungrybox” Debiedma is one of Melee’s best, the reigning champ of last year’s EVO World Championship and part of Forbes’ 30 Under 30 in Games, Class of 2017. So when faced against ChuDat’s Ice Climbers in the grand finals on match point, knowing the kill power the dual climbers had, Hungrybox made the smart play and ran the clock. 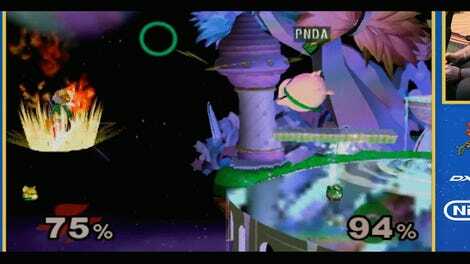 In Super Smash Bros. Melee, players win by knocking their opponents off the edge of the screen and taking away all four of their lives (called “stock”). If both players still have stock when the timer hits zero, the player with more stock wins; otherwise, the game goes into sudden death. 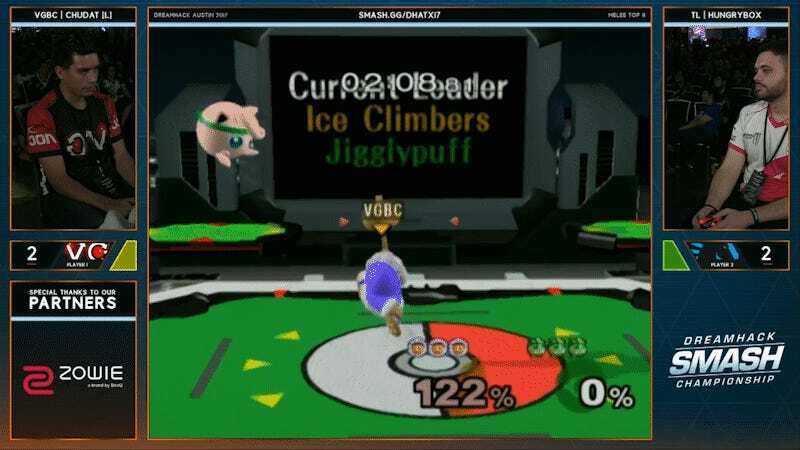 While the Ice Climbers have a lot of kill power with their grab attacks and hammer swings, Jigglypuff has significant mobility advantage in the air, able to float around just out of reach. 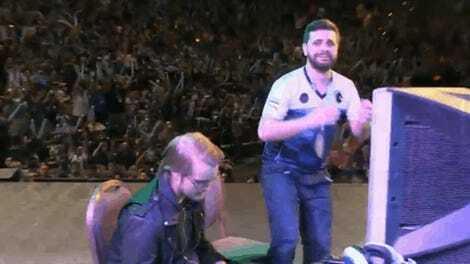 Hungrybox realized fairly early on in game five that it would be safer to dance around ChuDat than engage, and so he played the mobility game. Once it became clear what was going on, ChuDat even sacrificed a stock to respawn with both Ice Climbers (though the character is a duo of Climbers, the blue one is the “main” Climber, while the pink one can be eliminated but not count as losing a stock). 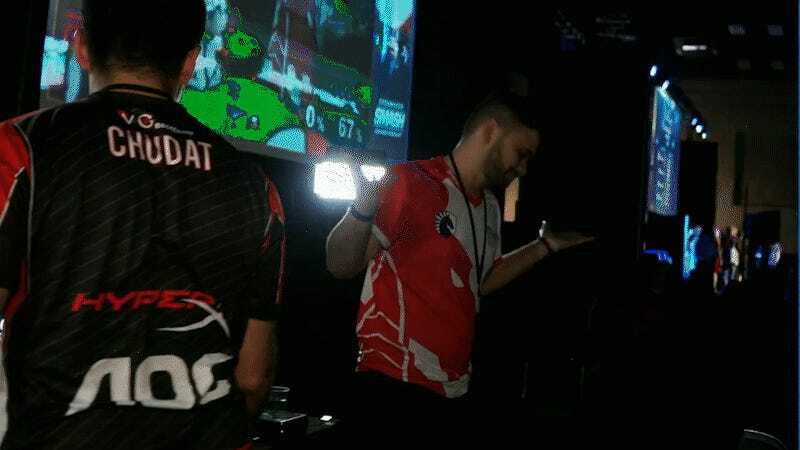 Despite having both Climbers in, ChuDat couldn’t close the distance to secure the win and reset the bracket, and so Hungrybox emerged the victor of DreamHack Austin. Even after winning, you can see him acknowledge that while it was the smart play, it wasn’t the most entertaining to watch. Reactions in Twitch chat during the event were, naturally, vitriolic, but social media was a mixture of acceptance and disappointment. It’s like watching your favorite football team run down the clock in a championship game: you’re happy they won, but it’s hard to be excited about the way it happened.